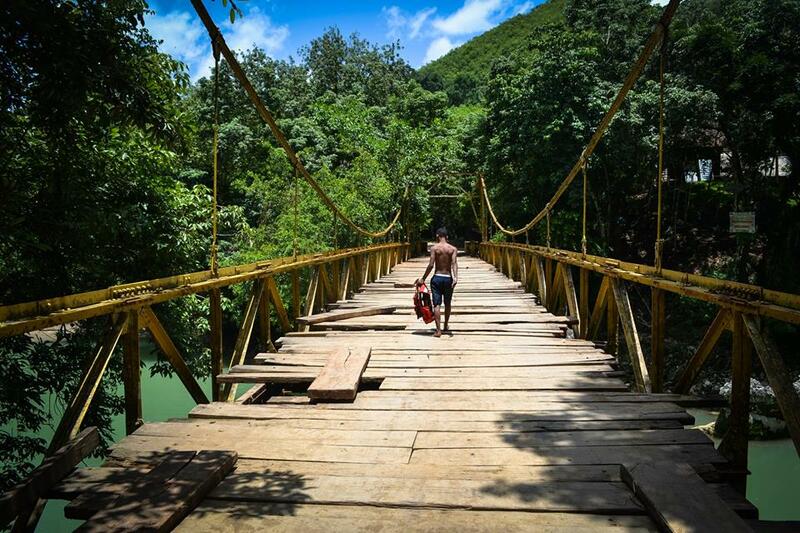 This old wooden bridge in Guatemala, is safer than it looks. I know this as it didn’t look too safe to cross on foot. Little did I know we would be crossing it in a bus. I took this photo a little before we crossed, I was amused at how unsafe it appeared, at this point I didn’t even realise that heavy vehicles crossed. It was only after we loaded into a chicken bus (old re-purposed US School bus) that it dawned on me we were crossing that thing. Safe to say, it was a little bit nerve wracking watching the loose planks of wood move so freely beneath the wheels.